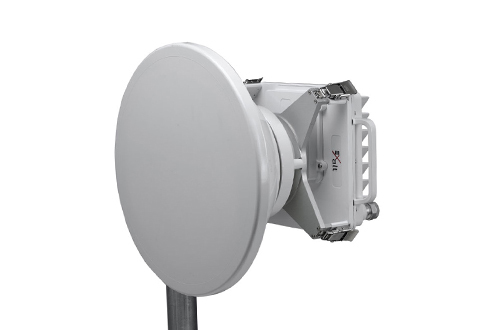 Achieve the fastest single channel radio speeds in the sub-60 GHz bands with the ExtremeAir all-outdoor system from Exalt. Perfect for tight fits, the zero-footprint systems are designed to work with almost all network setups and can provide speeds up to 1,000 Mbps over long ranges. Achieve a best-in-class reach and make ExtremeAir your choice when you buy used Exalt microwave radios from Worldwide Supply. Exalt ExtremeAir systems offer dual-carrier, XPIC options to maintain those top speeds over up to 24 miles, giving you a very flexible solution compared to past Gbps options. The single-mount design will help you get the coverage you need while cutting initial installation and long-term maintenance costs. Operators can get that same reliability and further improve the cost savings by choosing a refurbished Exalt ExtremeAir platform from Worldwide Supply. Our engineers ensure every Exalt ExtremeAir microwave radio we see is brought back up to OEM standards and requirements with thorough testing to ensure reliability. You’re now able to build the network you need with the right tools at a cost you can manage. Plus, we help you select and maintain your equipment, so you can eventually sell back any used Exalt ExtremeAir equipment you have for a new revenue stream as you prepare to grow even larger. This gigabit microwave radio system is a unique way for you to consolidate required infrastructure and still meet the throughput or backhaul demands of your network. Whether you’re extending 3G or 4G support, or just want a campus that’s as good as it can be, selecting a refurbished Exalt ExtremeAir from us is the best, most affordable way to grow. Achieve a best-in-class reach and make ExtremeAir your affordable and reliable choice when you buy used Exalt microwave radios from Worldwide Supply.